Cyclops Adventure Sports is proud to work with retailers, vehicle shops, and equipment dealers both in the United States and around the world. 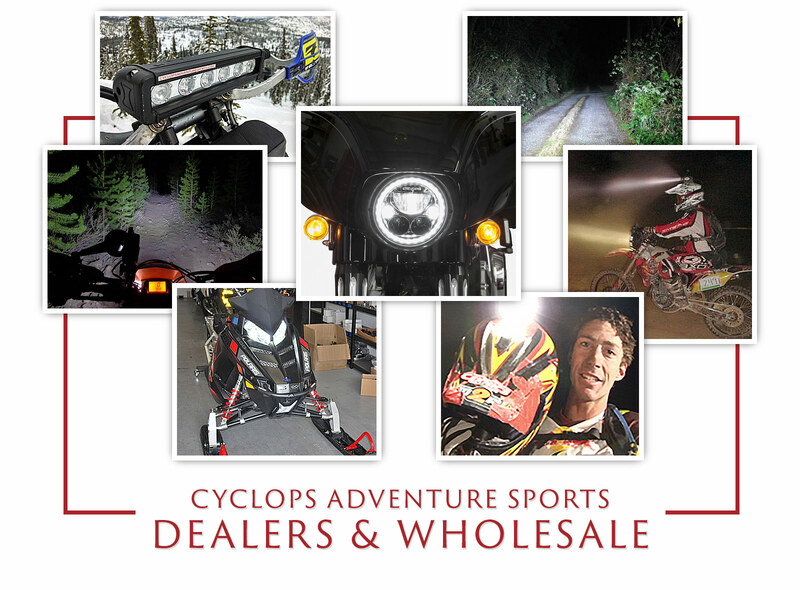 Since 2002, Cyclops has become an industry leader in developing durable, innovative LED vehicle and motorsports lights, these earning many positive reviews and trusted by racing professionals. Our company is also known for its track record of superb customer service and product support. We are based just south of Seattle. Approved wholesale partners receive special pricing and dealer terms. If you are a business owner or company representative interested in carrying our products, we encourage you to reach out to our Wholesale Team so that we can get to know one another and learn about your specific needs. Using the button below, you can submit your contact information to apply for a wholesale account. Please provide the physical address of your business. You can also contact us by calling (800) 624-0278 or sending an email to [email protected].